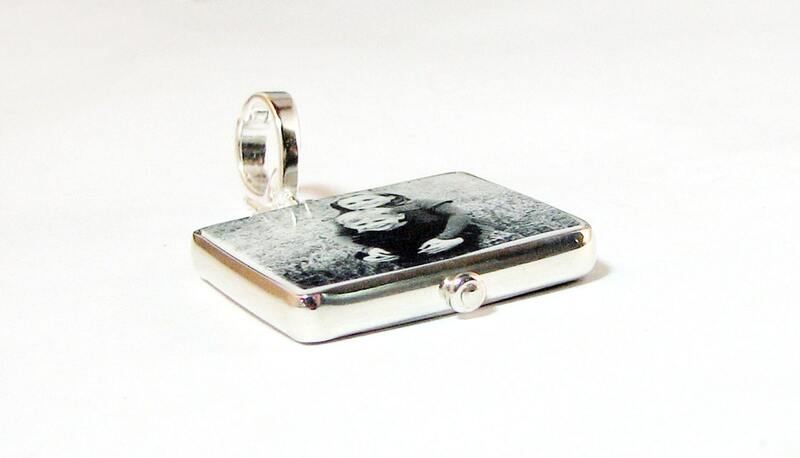 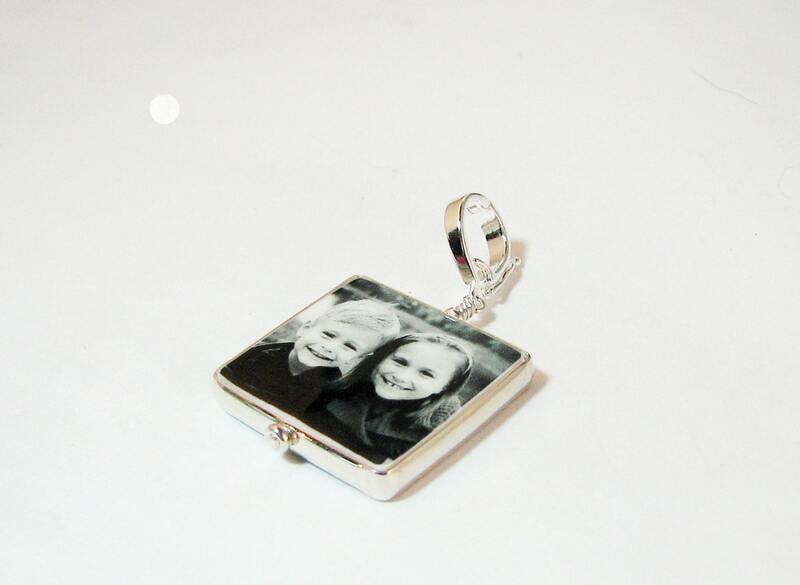 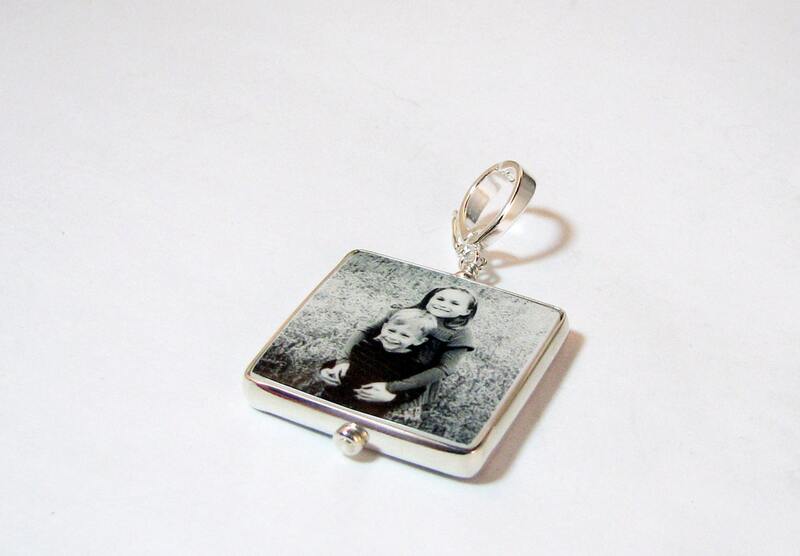 This is a unique, two-sided photo pendant that is framed in a sterling silver, half round bezel. 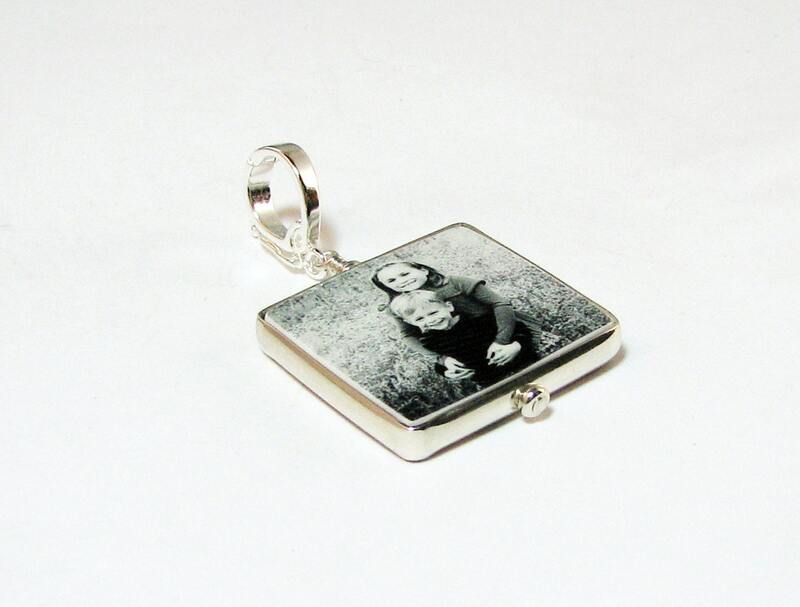 It comes with two photos, or you can request a custom text image for one side. 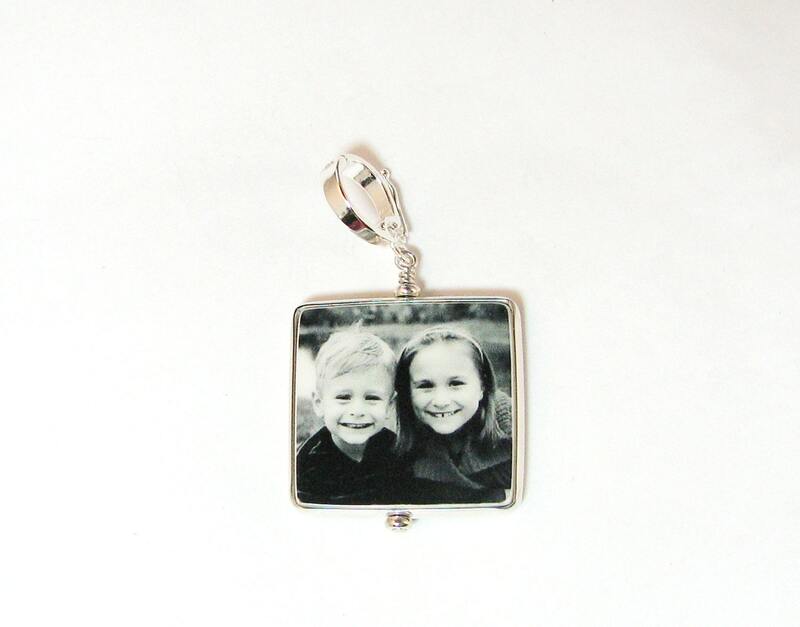 It is up to .75" X .75" in size, and comes on a sterling, interchangeable Fancy Bail so it can be placed on any necklace.